My wife is now three months pregnant so I'm going to need to get something with trunk space. I would love to keep it but it's just not practical for a new born. This is our first child. I am a staff sergeant in the Air Force and I live on Randolph Air Force Base in the San Antonio area. The car has low miles on it because it hasn't been driven during my ownership for a year and a half. I've been on two six-month deployments and a bunch of temporary duties (TDYs). I bought the car when it had 22,000 miles back in October 2006. 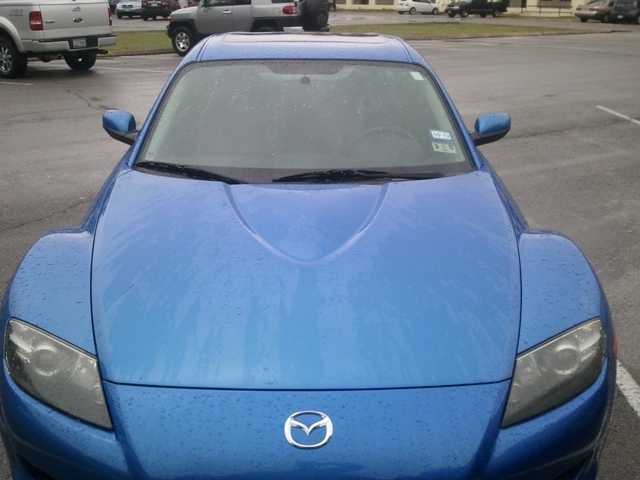 The 2004 Winning Blue Metallic RX8 GT has a manual transmission and less than 62,000 miles and is completely stock. I'm offering it for $8,400. The Kelly Blue Book private party value for FAIR condition is $10,591. It has the GT pkg., sun roof, leather seats, power driver seat, premium sound (Bose), six-disc CD changer. I'm listing it as fair condition because the paint and wheels have some scratches, the leather interior is slightly worn, and the engine is good but not great. 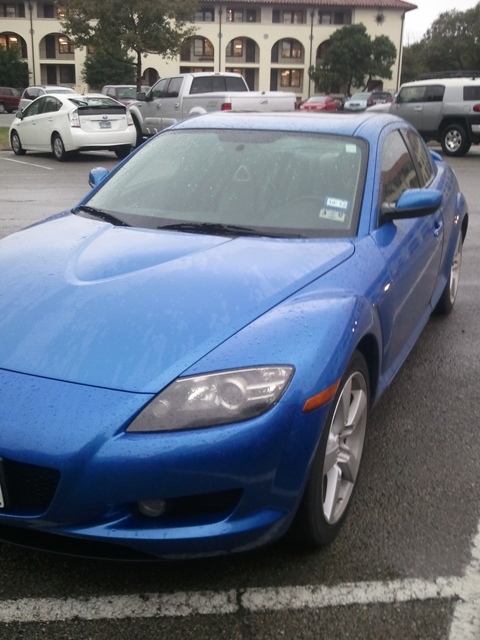 Also, the RX8 has a faulty A/C control unit but it still blows cold air. I just have to play with the control **** a little and it works just fine. The price quote on the part is $500 + labor (I'm estimating a $100). I have Khumo tires on the wheels and are about a year old. I have less than 8,000 miles on the them. If those of you in the San Antonio area would like to check it out let me know. Feel free to call me on my cell: 617-909-6537. I forgot to factor in the faulty A/C control unit so the new price $8,400. That's $600 off for the part + labor. it'd be good to know on the older model if u have got the free engine yet from mazda, because they will fail. Yes. The engine was replaced before I bought it in 2006. It was a lease car before I bought it. If anyone wants the VIN # so they can get a Car Fax report let me know. 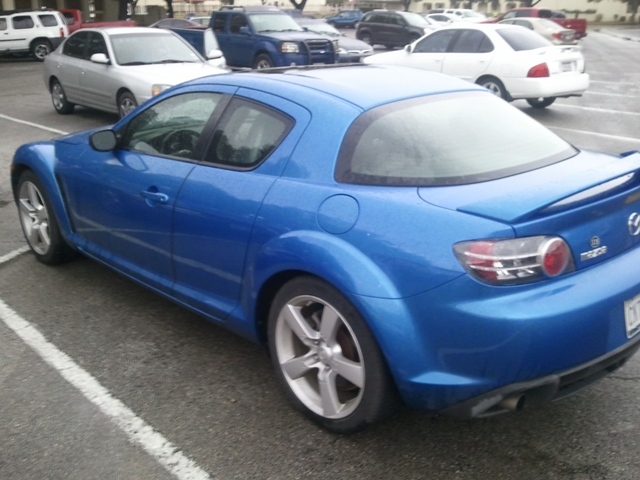 Also, I forgot to mention the RX-8 is paid off and I have the title. Also, I'll try to upload some pics in the near future. Here are the pics I promised. This car has been traded in for a baby friendly Ford Edge.